So I’m here, I’m good, I haven’t dropped off the face of the earth. It’s been a bad few weeks, this last one being the worst. 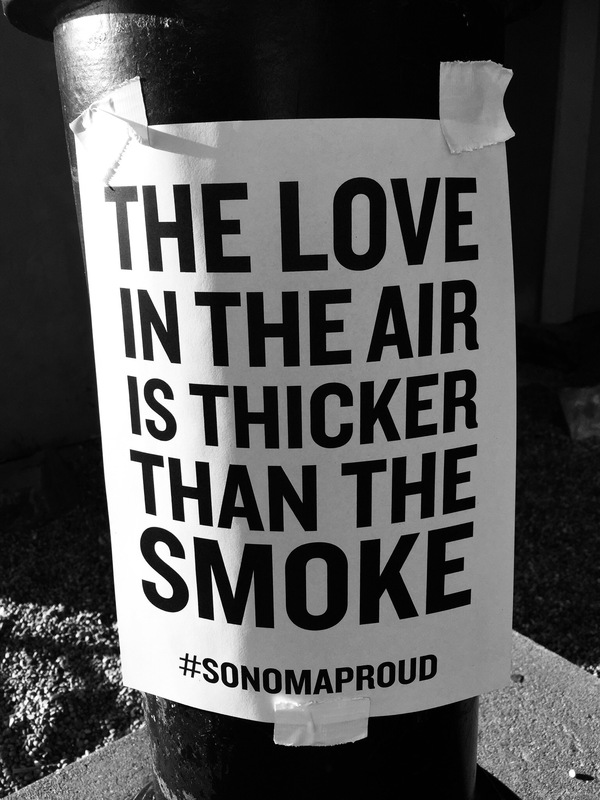 I live in Sonoma County, where the wildfires are currently raging. I live in Petaluma, however, and the fires have not reached us. Some of my friends have lost their homes in the next cities, and my uncle is still fighting the blaze. My heart goes out to everyone who is being affected by this fire, but I know we can get through it. It’s going to be long and difficult, but we can.